Versatile and timeless, you can never have enough black leather-look jackets and we love this Habella version, featuring a stylish collarless cut and contrast jersey sleeves. 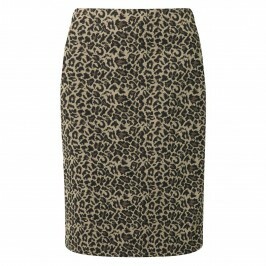 Wear with a bold animal jacquard skirt or dress for a striking outfit. Black pleather jacket with jersey back and sleeves. Zip fastening, unlined. 52% Polyester, 48% Polyurethan. Jersey: 74% Polyester, 22% Viscose, 4% Elastane. Hand Wash or Dry Clean.